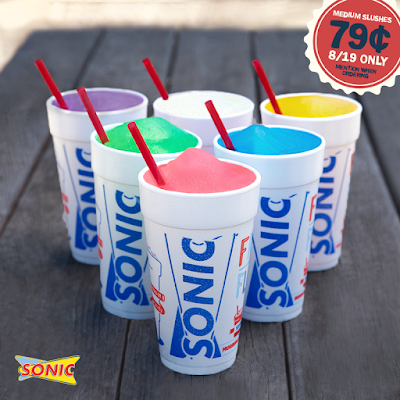 *OVER* Sonic Drive-In - 79¢ Medium Slushes Tomorrow! Wow! Head over to a Sonic Drive-In tomorrow, 8/19 and grab a Medium Slushe for Only 79¢! 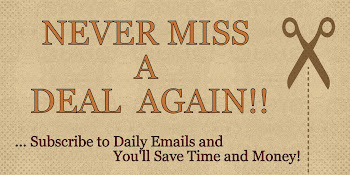 Just mention offer when ordering. *Please mention when ordering. Limit 4. Tax not included. Excludes Real Ice Cream Slushes. Add-ins cost extra. Cannot be combined with other offers, including Happy Hour. Offer valid only on 8/19/15.